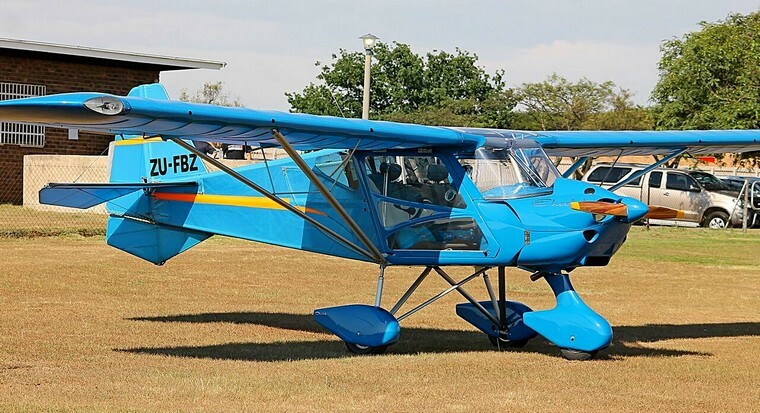 Some months ago, Dr. Robert Clark, the communications officer of the Witbank Aeronautical Association contacted and informed me of their plans for another breakfast fly-in. I immediately replied that it would be our pleasure to visit, have some of the best breakfast around and write a couple of words about the event. For this fly in, I sadly had to drive in. I left early morning from Centurion with grumbling, dark skies. As I arrived at Witbank airfield, I noticed that the imminent inclement weather had indeed had an impact on the attendance of the event. The early visitors to the event included a Beechcraft Bonanza, a Van's RV10 and a Cheetah powered by a Jabiru engine. As the wind favored runway 04, I made my way down the edge of the taxiway in anticipation, or hope, of some arrivals. Walking down to the threshold, I could hear the grumbling and rumbling of the approaching thunderstorm. 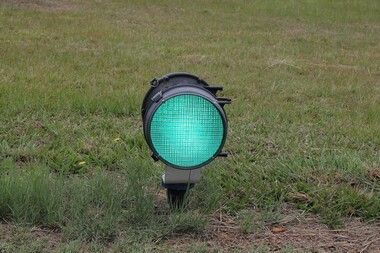 While at the end of runway 04 I could not help to notice what looked like PAPI lights at the end of the runway. I was quite certain that there would not be any arrivals from the north so I decided to make my way to the clubhouse for the traditional Witbank Aeronautical Association hospitality and restaurant quality breakfast. The weather towards the East and South was CAVOK and I noticed another RV10 arriving from the South. 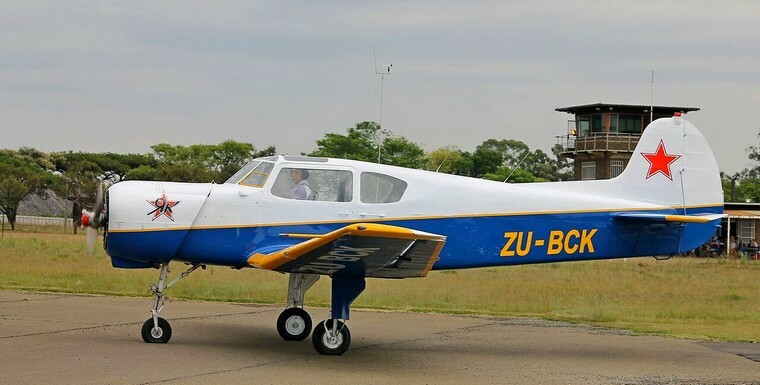 The clubhouse was abuzz with activity with the ladies of the Witbank Aeronautical Association again proving that they know exactly what hungry pilots are looking for in a breakfast, it was delicious and at only R60 very good value for money! 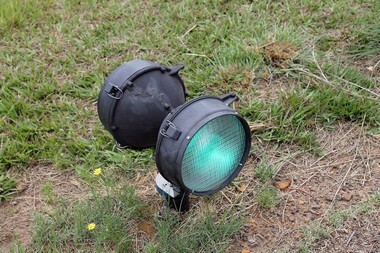 After breakfast, I enquired with Robert about the "PAPI" lights I saw earlier at the threshold of runway 04. Robert informed me that it was a club initiative and that these lights were actually threshold lights and not "PAPI's". He then invited me to have a look at these lights. Robert then told me that the sourcing, installation and fabrication of the brackets to mount the lights were entirely done by members of the club. During our walk out to look at the runway lights another visitor decided to depart. With the Yak 18T having departed, I also asked Robert who did the mowing of the expansive airport area, Robert replied that, that is also entirely done by the club. 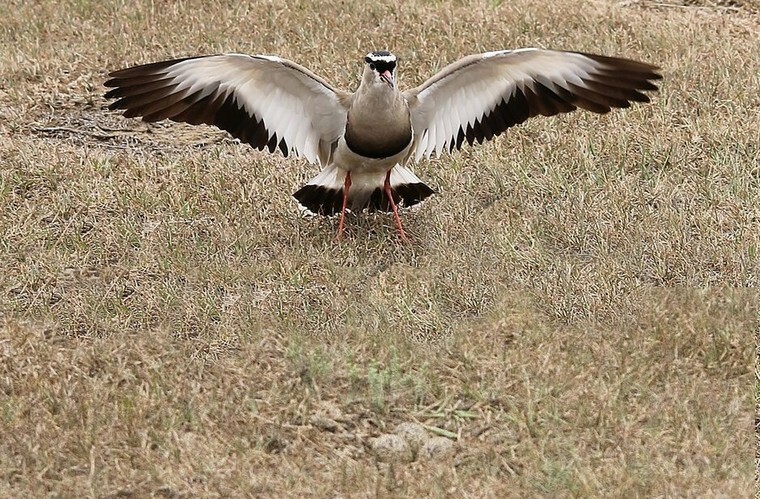 Robert said that during the preparations for the weekend fly-in they noticed a pair of Crowned -Lapwings guarding their nest. They carefully mowed the grass around the nest so as not to disturb or destroy the eggs that the birds are nesting on. I went to have a cautious look. 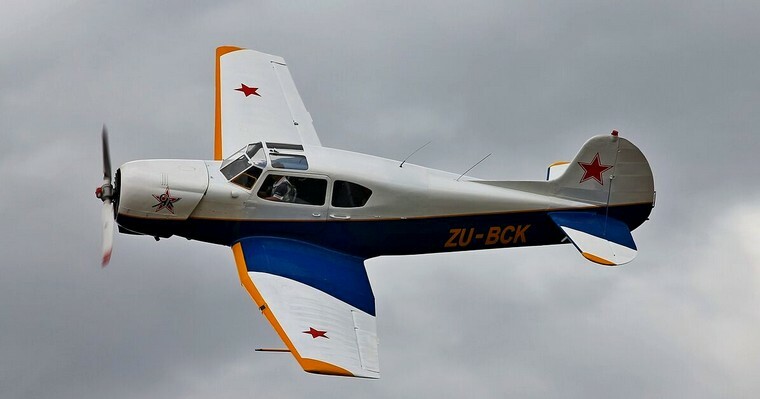 Once again, the Witbank Aeronautical Association did not disappoint. It is a fly in destination well within reach for even a newly minted PPL or NPL pilot. The joining procedures and radio work could not be simpler. I would definitely encourage it to all for a future visit. Lastly from my side, thank you for your support of PilotsPost and the work that we do! I would like to wish all our readers and partners a safe, happy and healthy festive season in the company of your loved ones. All the best - Jaco.